What's better than a food truck? A coffee bus! I love a good food truck, and Junction Coffee puts such a unique spin on the concept. It's important to shop local and that includes venues like this. Why? If you shop or eat at a chain, you're helping to pad the pocket of executives. If you spend your money with local venues, more of your money goes into the pockets of the people who live and work right here at home. You're helping them earn a living and support their dream. Doesn't that feel like a more worthy way to spend your hard earned cash? I can't believe this place has been around (literally, all around) Oklahoma City for a few years now and I just heard about it. 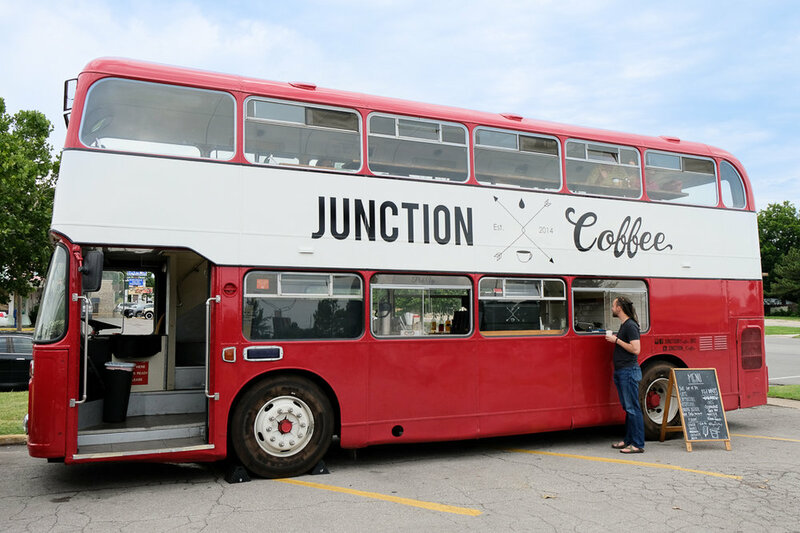 How have I missed out on something as cool as a double-decker bus that serves coffee? Not just coffee, but good coffee. I was actually impressed. I've had coffee from mobile venues before and it's always been quite mediocre, even just plain bad. All coffee lovers have different tastes, but I don't think anyone will be disappointed with Junction Coffee, especially with such a fun environment. 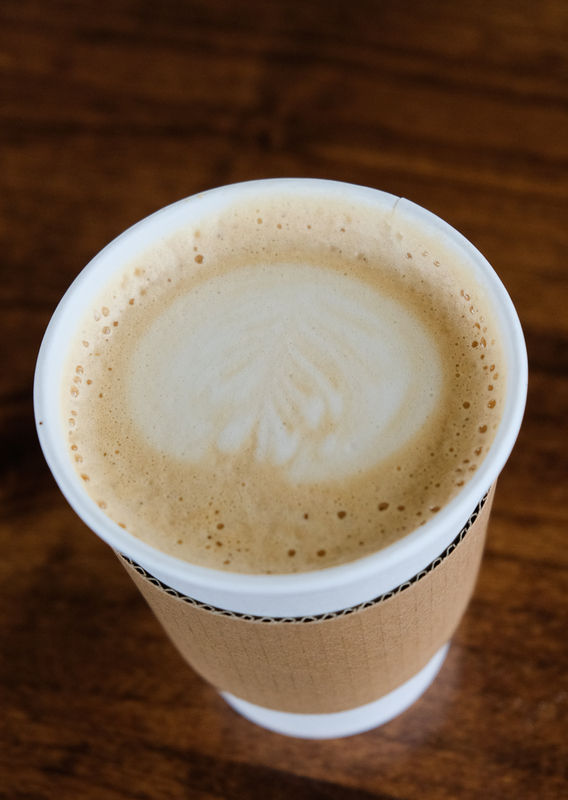 Pictured is their classic latte. Visit their website to see their menu and learn a little more about them. Follow them on social media to see where they'll pop up next! The Made in Oklahoma Coalition is a great resource for finding Oklahoma-based eateries. Also, check out Made in Oklahoma for local retailers and products. Make sure you follow me on Pinterest, Instagram and Facebook! Also, subscribe so you don't miss out on upcoming posts.